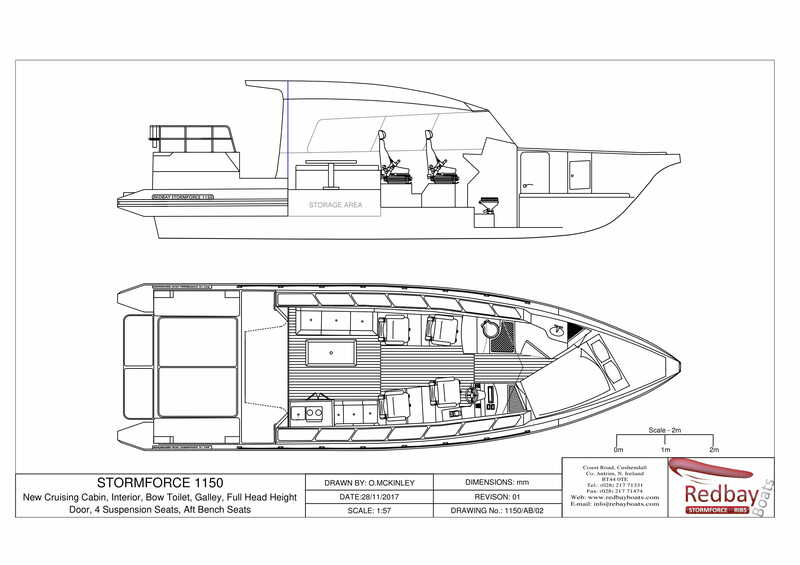 We are well under way with our latest Redbay Stormforce model, the Stormforce 1150. 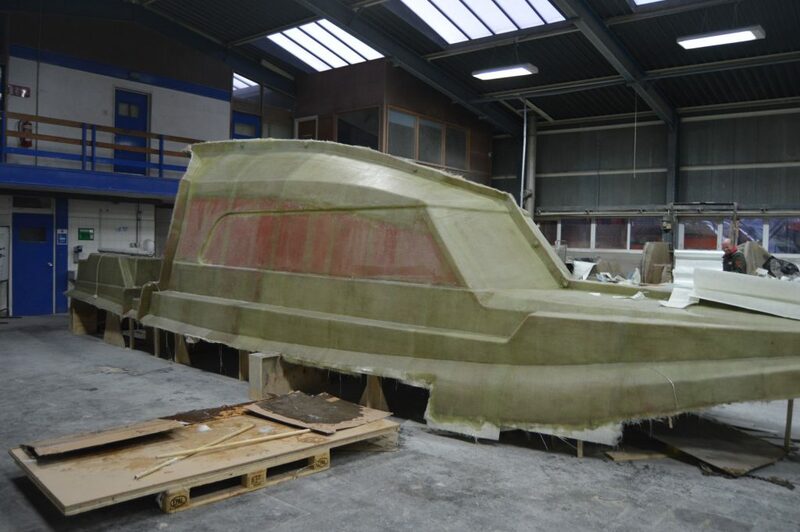 This week saw the completion of the cabin and deck mould ready for the first cabin to be laid up later this month. 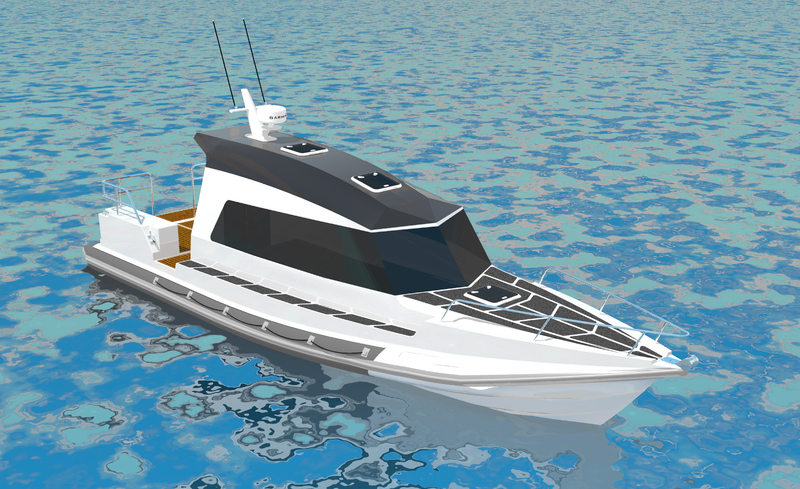 Based around our very popular 11m, we give the cabin a more modern look with smoother angles and a more accommodating cabin. We also raised the height of the back bulkhead to allow for a 1.8m full head height cabin door, meaning that we can give customers the option of having a sliding glass door. Another feature of the 1150 is the sleek window design, the windows are recessed into the cabin so that they sit flush with the cabin sides. We will be fitting it with Seaglaze Series 15 Hidden Frame Windows. Our interiors are completely bespoke to suit our customer specification. New features to the interior is our bow cabin design with an offset angled double bed and forward toilet cubical underneath the console to give us more living space at the rear of the cabin. This was accomplished by widening the entire boat by 150mm and raising the bow deck by 200mm. 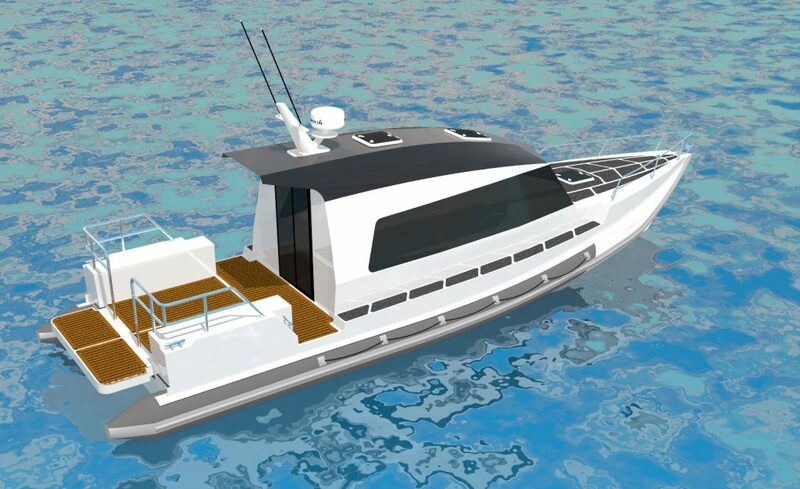 The first 1150 will be powered by twin Yanmar 8LV370 inboard diesel engines and we could expect it to reach upwards of 45 knots with a cruising speed of 28-35 knots. We will keep you all up-to-date with our progress throughout the build.